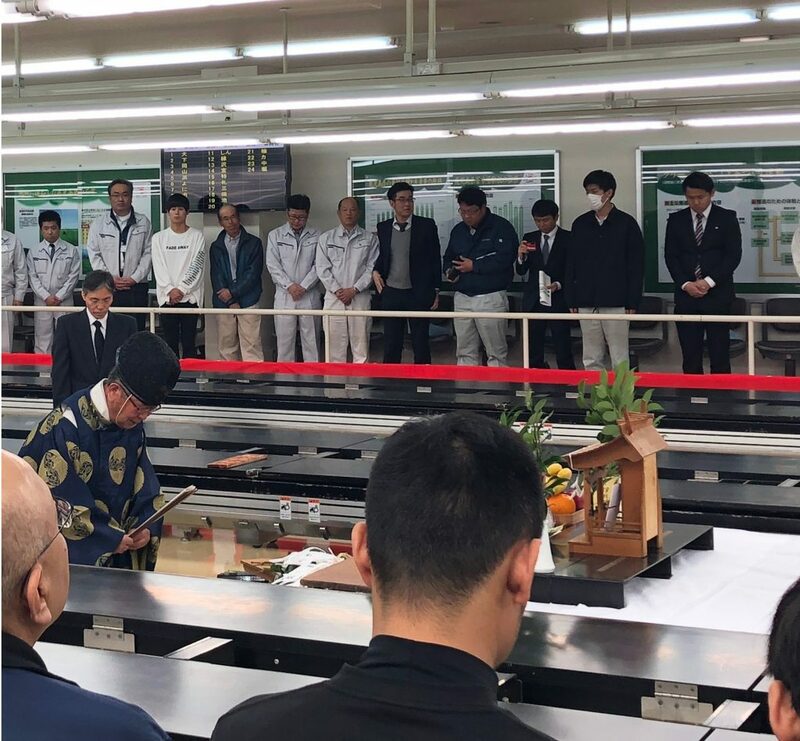 Yesterday April 5th marked the 2019 start of business at the Kagoshima Prefectural Tea Action House. Growers, brokers & packers from all over Kagoshima was present along with board members of the Kagoshima Farming cooperative. All the local television channels were providing coverage as tea holds a big share in the net product of Kagoshima. Seen in the middle-left of the image below is a Shinto Priest performing a ritual prayer for good business in the coming season. From this week forward daily auctions will be held until the end of august.